Standard - $56.99 Only 4 left! Meet your new best friend. We like to call him Baby Squish Squish, but you can name him whatever you like. Skeptical? Don’t be. 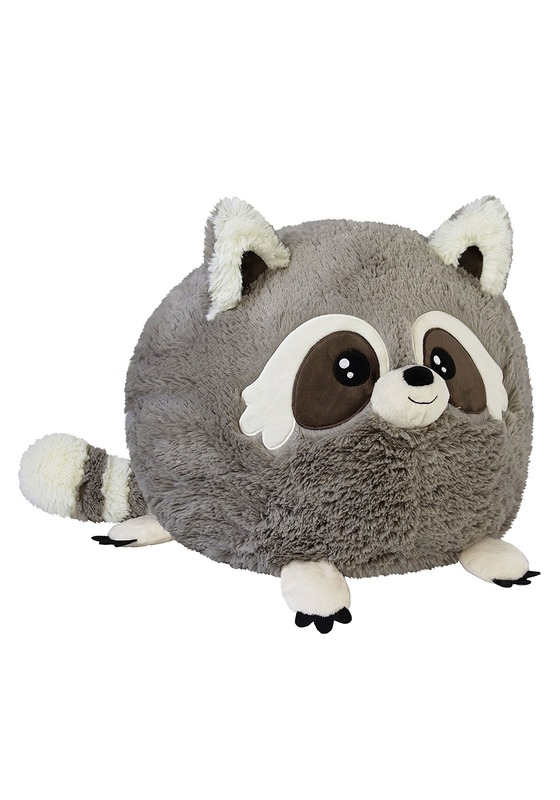 This baby Raccoon plush has all of the features of the perfect best friend. First of all, he’s a great listener. He never interrupts you and he will always lend you an adorable ear whenever you have problems to get off your chest. Second of all, he will never try to mooch anything from you. He won’t borrow money from you and then never pay you back (we’re looking at you, Terry). He won’t try to eat all of your pizza when you order a pie for yourself (also you, Terry). Lastly, he gives great hugs! He’s so soft and squishy that we instantly feel better any time we give him a nice little snuggle (Terry gives awful hugs). So, this Squishable Raccoon is like any stuffed figure. He’s got some soft stuff inside of him. He’s covered in more soft stuff on the outside, and he’s completely adorable. We’d almost marry him if we could. He’s just that awesome. Baby Squish Squish is a great accessory for any Raccoon costume! Of course, you can also just take him on some daily adventures to be best friends forever, or you can let him hang out on your bed when you’re not at home. That’s one of his favorite things to do!